Cheerleader Hannah Teller was injured recently at a basketball game when a teammate, playing the role of “flyer” on a sideline stunt called a basket toss, accidentally elbowed Teller’s head. 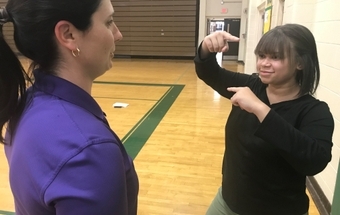 Sydney Cox, West Davidson’s certified athletic trainer, is part of a program where Novant Health athletic trainers are embedded in schools in Davidson County, North Carolina to care for student-athletes. Cox said she knew then that there was a chance of a concussion. Teller’s case highlights the difficulty of diagnosing women with concussion in some cases. The complicating factor: women are more likely to have migraine headaches. Those symptoms can be similar to concussion, thus complicating the diagnosis. Women are three times more likely than men to suffer from migraines (18 percent compared to 6 percent) and the probability for women is even greater during reproductive age. In Teller’s instance: She had a history of migraines dating back to second grade and had actually had one earlier that day. 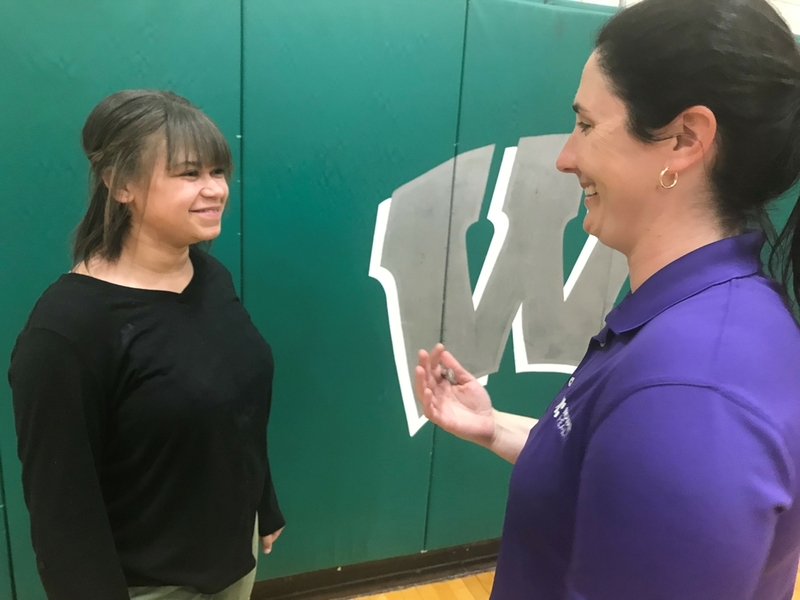 Proceeding with caution, Teller’s Novant Health care team was able to get her diagnosis nailed down and take the appropriate steps before getting her back on the court to finish out her season with the Dragons cheerleading squad. But it’s also important, she said, to be aware that concussion symptoms don’t always present immediately. It can take as long as 48 hours after the injury for symptoms to become evident. In Teller’s case, it wasn’t an obvious concussion based on Cox’s initial check but she told Teller not to participate until they could be sure. It’s important to know whether or not an athlete has a concussion because if they return to play before their brain has fully healed they are at risk for repeat concussions, which can lead to long-term problems. Headache or pressure to the head. Sensitivity to light or noise. The day after the game, Teller came back to Cox and said she still had a headache, but Teller expressed that she could confidently tell that she was having a migraine based on the way it felt. The question at that point was whether it was only a migraine or a migraine and a concussion, too. Because it was during the holidays, Teller went home for a couple of days and rested — but the headache lingered. At that point, Cox was confident Teller had a concussion. Cox made an appointment for Teller with Dr. Patrick King, a sports medicine specialist at Novant Health Orthopedics & Sports Medicine in Thomasville. Like Cox had done, King performed a series of tests known as VOMS (vestibular/ocular motor screening) that track eye movement and screen for concussion. King also highly encourages athletes recovering from concussions, if they’re able, to observe practices with coaches so they continue to feel part of the team to help avoid depression. 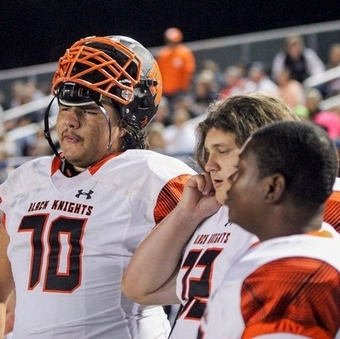 Teller would also need to get cleared by King to return to play, which is also a state requirement. After a few weeks of her teammates cheering for her recovery, Teller was cleared by King and back cheering on the Dragons. You don’t have to be a professional athlete to get world-class care for your sports-related needs. Download our guide on common sports-related injuries.